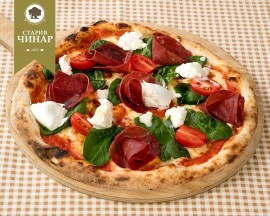 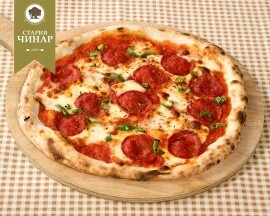 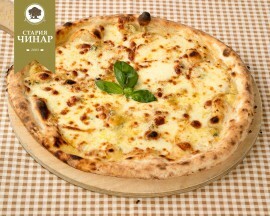 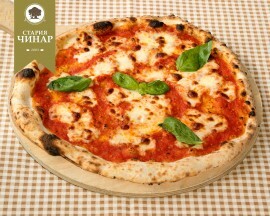 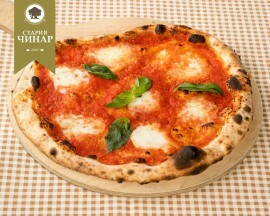 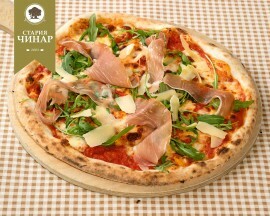 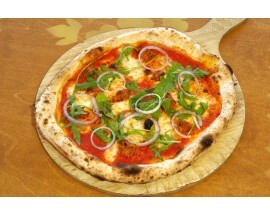 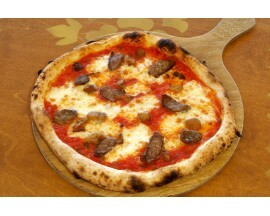 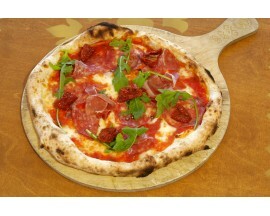 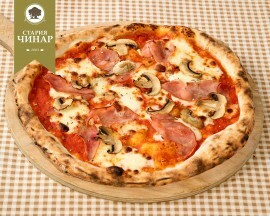 The pizza is baked with natural yeast and Italian flour which contains five kinds of wheat. 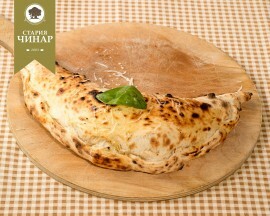 The sourdough then is left rising for at least 24 hours for easier digestion. 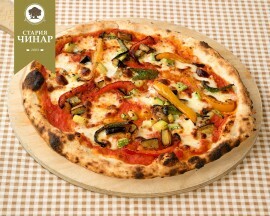 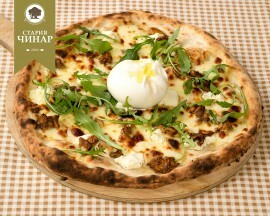 The recipes are selected by Chef Anatoli Kolev - The World Pizza Cup championship medalist from Rome. 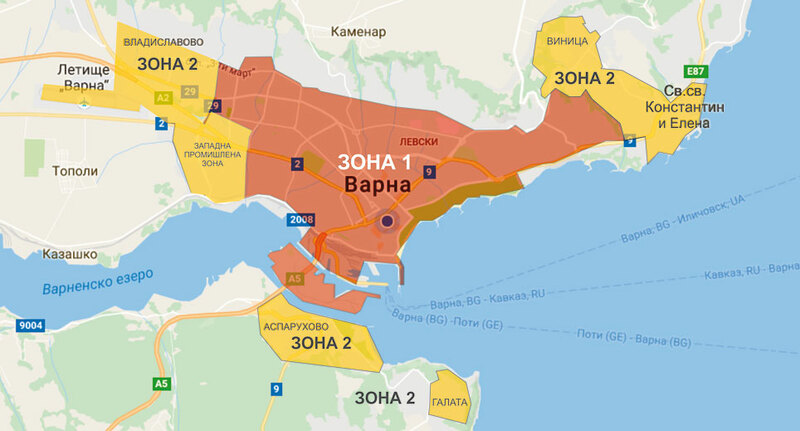 доматен сос,моцарела,карпачо от телешко,бейби спанак,чери домати,биволска моцарела,студено пресован ..
tomato sauce, game sausega, porcini mushrooms mozzarella..